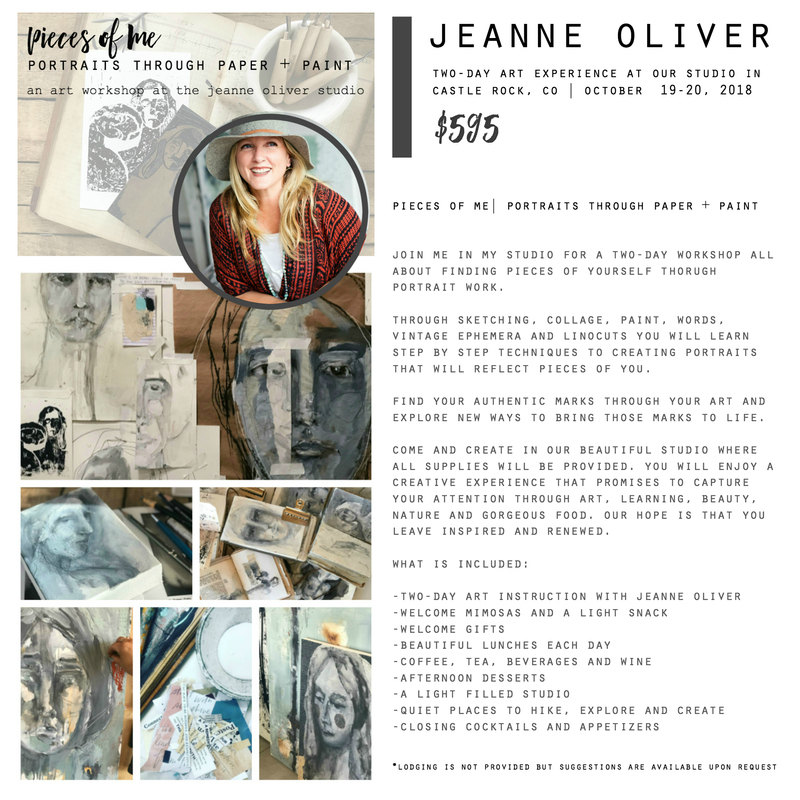 Join Jeanne in her studio in beautiful Castle Rock, Colorado on October 19-20, 2018 for a two day Art Workshop. Finding pieces of yourself through portrait work. Through sketching, collage, paint, words, vintage ephemera and linocuts you will learn step by step techniques to creating portraits that will reflect pieces of you. Find your authentic marks through your art and explore new ways to bring those marks to life.